Springbok lock Eben Etzebeth should be fit to be considered for selection to face Argentina in the first Test of The Castle Rugby Championship in Cape Town next Saturday (August 18). Etzebeth and Springbok team doctor Craig Roberts travelled to Johannesburg on Tuesday where the player was assessed by a hip specialist. Both the short and long term management of his current injury was discussed. Following further discussions with the Western Province team doctor on Wednesday, it was decided that Etzebeth will undergo functional field testing on Monday to determine his ability to perform on the field. "Eben has responded very well to treatment thus far and we are confident that he will be available for the first Test against Argentina," said Roberts. 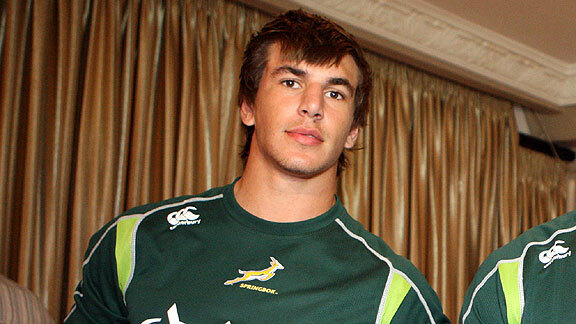 Springbok coach Heyneke Meyer said: "Eben is an asset for South African and Western Province rugby. I have full confidence in our medical team and we will always put the player's future welfare first when we make a final decision, but I'm happy that the news on Eben is good."